Inhibitive and adsorption properties of methanol extract of Leucas aspera leaves (MLA) on the corrosion of mild steel (MS) was studied using weight loss measurement, AC impedance spectroscopy, and potentiodynamic polarization spectroscopy, Fourier-transform infrared spectroscopy, field emission scanning electron microscope and energy-dispersive X-ray spectrometer, and GC–MS analysis. 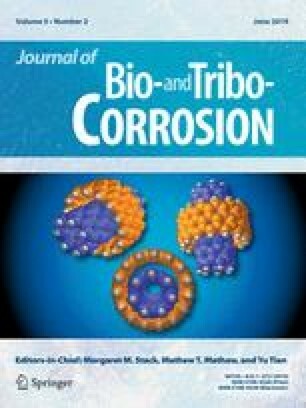 The results obtained indicated that the MLA is a good adsorption inhibitor for the corrosion of mild steel in HCl medium. The inhibition efficiency of MLA was found to increase with the increasing immersion of time and decreases with the increasing temperature. The polarization studies reveal that the extract acts as a mixed-type inhibitor. The adsorption of MLA on mild steel surface is a spontaneous and exothermic reaction and is best described by the Langmuir adsorption model. The values of activation and free energies obtained were within the range limits expected for the mechanism of physical adsorption. Examination of the FT-IR spectra of the corrosion products of mild steel and that of methanol extract of leaves of LA before and after adsorption indicates the adsorption of the inhibitor on MS surface. Field emission scanning electron microscopy confirms the adsorption of LA on the MS surface. The GC–MS analysis was used for the identification of active phytochemical compounds in MLA. The authors acknowledge the Post Graduate and Research Department of Chemistry, Sri Ramakrishna Mission Vidyalaya College of Arts and Science, Coimbatore-20 for providing the facilities.